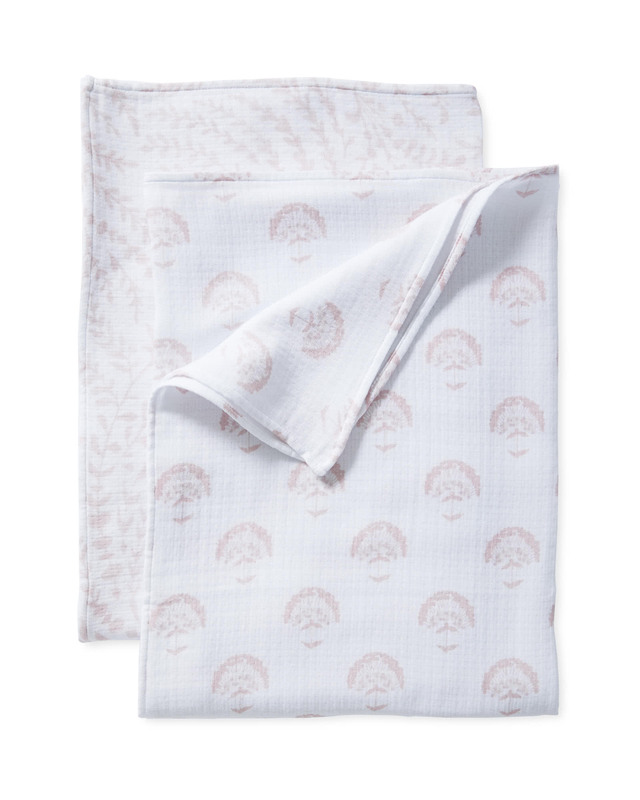 Priano Swaddle SetPriano Swaddle Set, Pink Sand alt="Priano Swaddle Set, Pink Sand"
Print Determined to offer only the very best, we developed our own cotton muslin in Portugal – a country famous for its great textile heritage. The result? A truly special fabric that’s breathable for comfort, triple-layered for a little loft, and washed for a soft feel and relaxed look. It’s also Oeko-tex certified, meaning it’s woven from pure, toxin-free materials that’s gentle on baby’s sensitive skin. Durable cotton makes this a sweet and practical gift. For a bit of fun, we paired two complementary botanical patterns, both designed in-house. Triple-layer muslin designed in-house to be lofty and breathable.